When a disaster strikes, businesses of all sizes need a reliable solution for on-demand disaster recovery (DR) in the cloud. However, regardless of their size, many businesses struggle to properly manage the complicated network setup and configuration tasks. 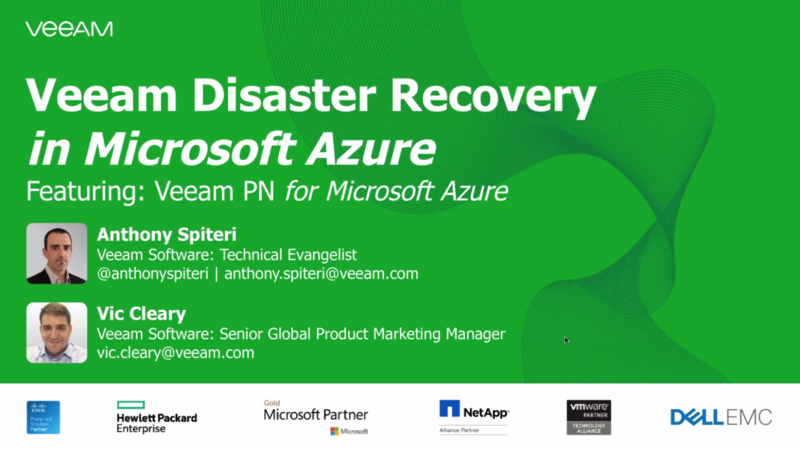 Veeam® PN for Microsoft Azure (Veeam Powered Network) is a new and FREE solution that helps deliver Veeam Disaster Recovery in Microsoft Azure, and is designed to simplify and automate the setup of a DR site in Azure using lightweight, software-defined networking (SDN).